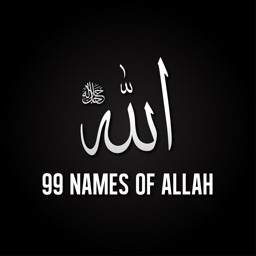 The 99 Names of Allah (Asma Al-Husna), are the Names of Almighty God. 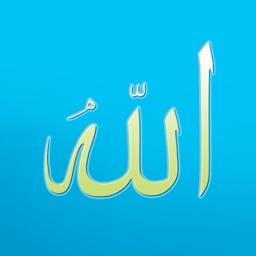 A specific Attribute or Description of Each name representing Almighty God (Allah). 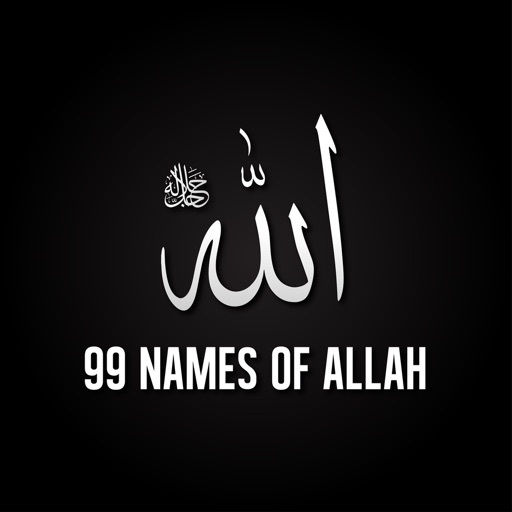 Read and Memorize the 99 names of Allah. 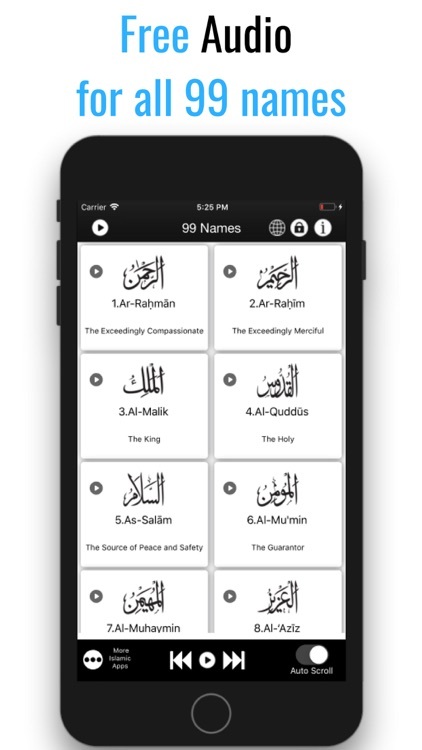 • Read the English Translation of the Meaning of the Holy Quran in Description for each name. 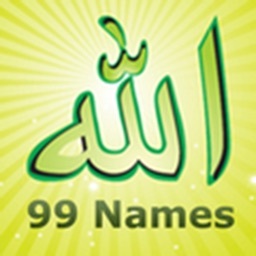 • Listen to the Audio for all 99 name for Free. • Universal App Works with almost all iPhones & iPads. * Download it Now. 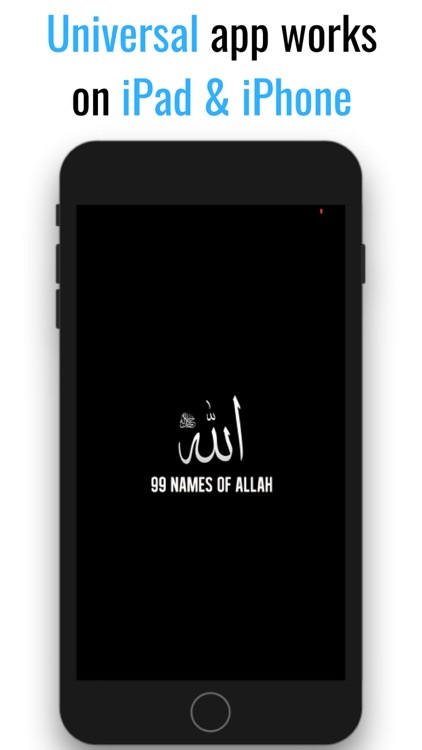 It’s FREE & Memorizes the 99 names of Allah(Swt) today. 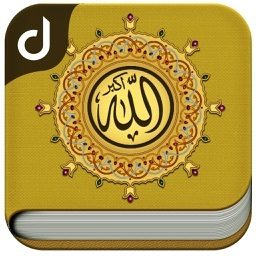 DISCLAIMER: It should be remembered that the Quran was revealed in the Arabic language. 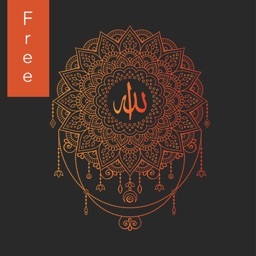 Translations are actually Interpretation of the Quran. No translation of the Quran can be hundred percent accurate, nor it can be used as a replacement of the original Quranic text in Arabic. 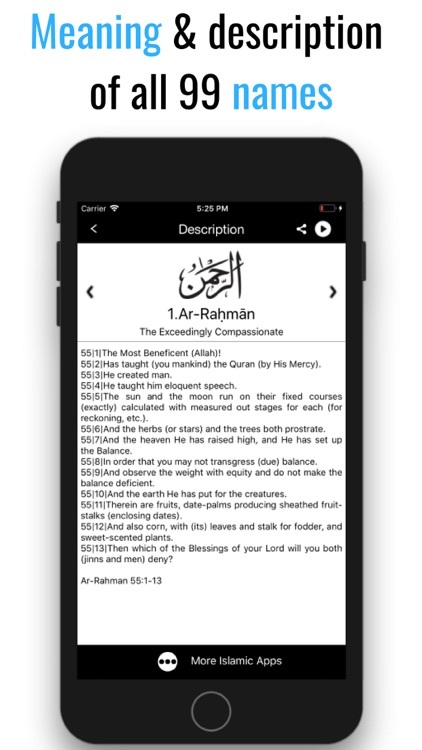 In this app we have tried to provide verses from the mostly acceptable Interpretation of the Quran in English by Muhsin Khan. If you come across any mistakes please report them to us by contacting us via: http://contactimran.com. May Allah (Subhanahu Ta'ala) accept this service from all of us, please remember us in you're Dua's.